Accurately report students academic strengths and weaknesses with standards-based grading. Accurately report students academic strengths and weaknesses with standards-based grading. Rather than using traditional systems that incorporate nonacademic factors such as attendance and behavior, learn to assess and report student performance based on prioritized standards. You will discover reliable, practical methods for analyzing what students have learned and gain effective strategies for offering students feedback on their progress. Distinguish between standards-based and standards-referenced grading, and examine the basis of each. 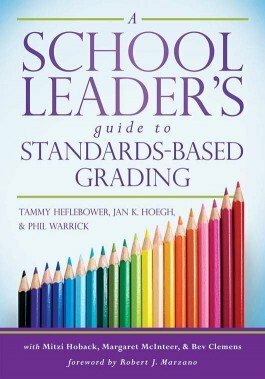 Understand the research and reasoning for standards-based grading, and read other educators accounts of applying it in their schools. Examine current grading practices, and identify ways to ensure grades accurately reflect students strengths and weaknesses. Discover how to improve student achievement through meaningful, measurable, and accurate reporting. Address the role of exceptional learners—students with special needs, English learners, and gifted and talented students—in the assessment process.